Wouldn't mind raising that "WWII U-Boat" near the wreck site off of Nova Scotia. Might be interesting. So why are you going on about U-boats and motive and all that? I agree with you on that point. In addition, the discharge pumps may well have compensated for the water ingress, and the ship remained afloat with time to spare. 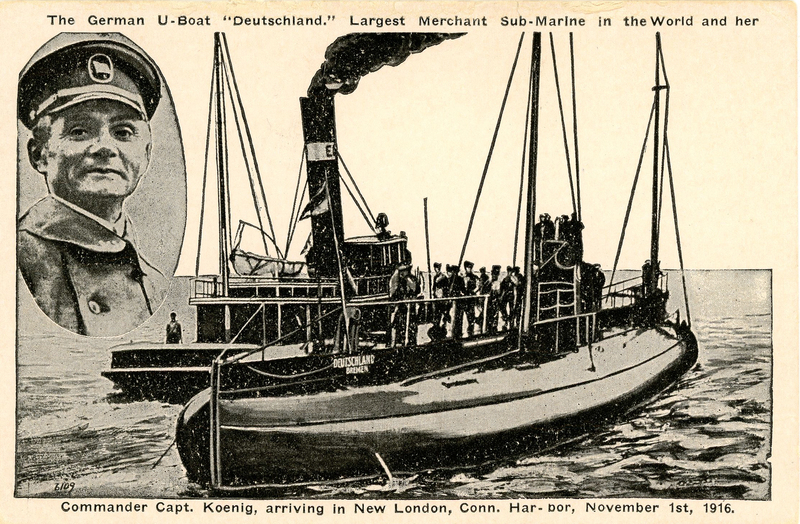 A U-Boat captain tried to sink the Olympic. It didn't go well. Olympic was more famous than Titanic would be if she hadn't sank too. The only reason people remember her as unsinkable is cause she sank, most people would generally apply that statement to all the big ships of the day and they weren't really wrong to do so. The whole class was hyped as unsinkable, nothing particularly special about Titanic in that regard. The unsinkable line was actually coined in relation to the Adriatic I believe or it might have been a similar quote? Britannic only was given more protections because Titanic sank and the reason Britannic sank is literally cause they left the portholes open for ventilation, so that didn't really prove the ships weak either. But the unsinkable quote was based on peacetime, clearly they aren't battleships. The notion that the Olympic class was virtually unsinkable is mocked as arrogant but on paper the Titanic sinking was an incredible fluke that required the accident to play out exactly the way it did and no efforts to save the ship whatsoever just a shocked acceptance by an inexperienced joy ride captain. No one plans for what happens if you almost get out of the way of an object, usually it's assumed you're either going to crash or you;re going to get away, the grey area in between is what doomed Titanic. That's just such a bizzare way for a ship to get damaged though. Before or since when has a ship been damaged by a powerful force scratching it along the side? What happened to the Titanic was virtually impossible especially when factoring in the unusually calm night, the missing binoculars and Murdoch's decision to waste valuable seconds reversing the engines rather than just swinging the wheel. That's honestly an obvious mistake that NEVER gets mentioned for some reason. Titanic was also one of the first victims of man made climate change given that the greenhouse effect from the industrialization of the 19th century was likely the cause for the ice being in an area where it shouldn't have been. Captain Smith's course change in any previous year is being overly cautious. Here's the Arizona's wikipeda page. The page includes a picture of her after hitting an iceberg head on. She was less than 10,000 tons and was barely over half the length of the Titanic. If Arizona could tank an iceberg Titanic could, ships were designed more than anything else to protect against collision. Olympic almost sank an armoured ship designed to sink whatever it hit, destroyed a U Boat and split the Nantucket Lightship in two. She might have sank more ships than any vessel without guns in the modern era. If not for her connection to Titanic she might be most famous as the most durable civilian vessel of all time. redacted; covered in another post.